Accommodation for this trip was provided by HomeAway. More details below. 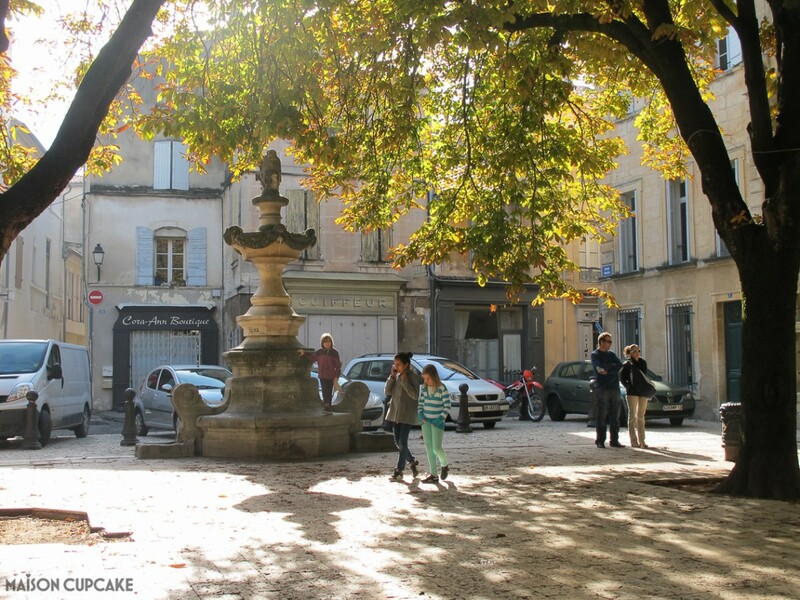 This post is one of a series in and around St Remy de Provence. 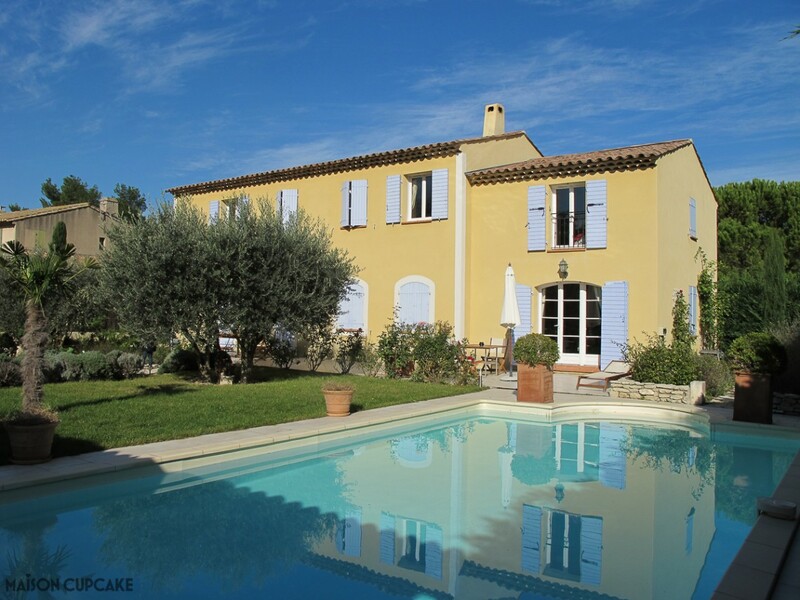 If you want to slow down whilst away, a holiday rental is a relaxed way to visit Provence. No hotel breakfast deadlines to meet, no vacating the room for hours at a time incase the cleaner wants access. And if you like to choose exactly what you’re eating, cooking in a self catering apartment or cottage offers full flexibility. 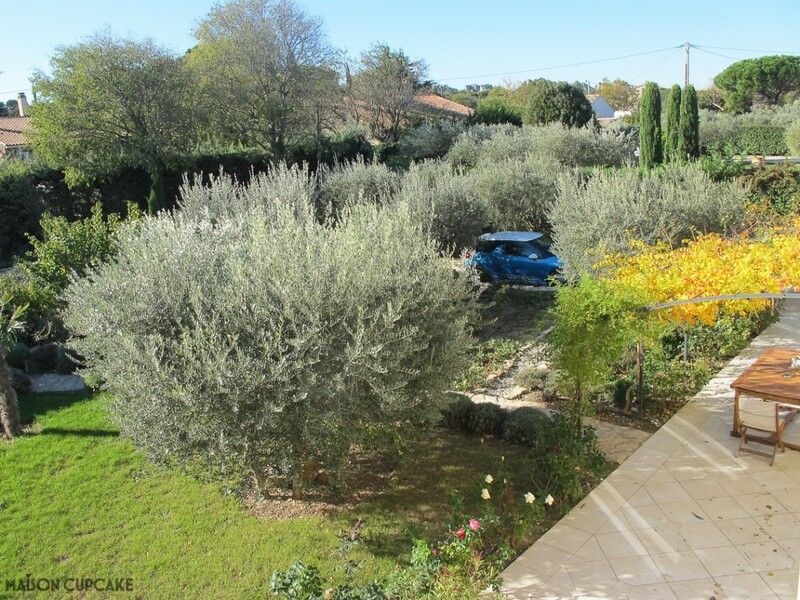 Our accommodation was provided by HomeAway.co.uk and we chose this annex apartment sleeping 3 within a twenty minute walk of fashionable Provencal town St Remy de Provence. We first visited this area back in 1997 and have had multiple trips there since. There are so many reasons to stay in St Remy and many day trips from St Remy you can take within an hour or so by car. Our accommodation was an annexed flat attached to the side of the owner’s house. The property was secure inside locked gates with gardens and a swimming pool. 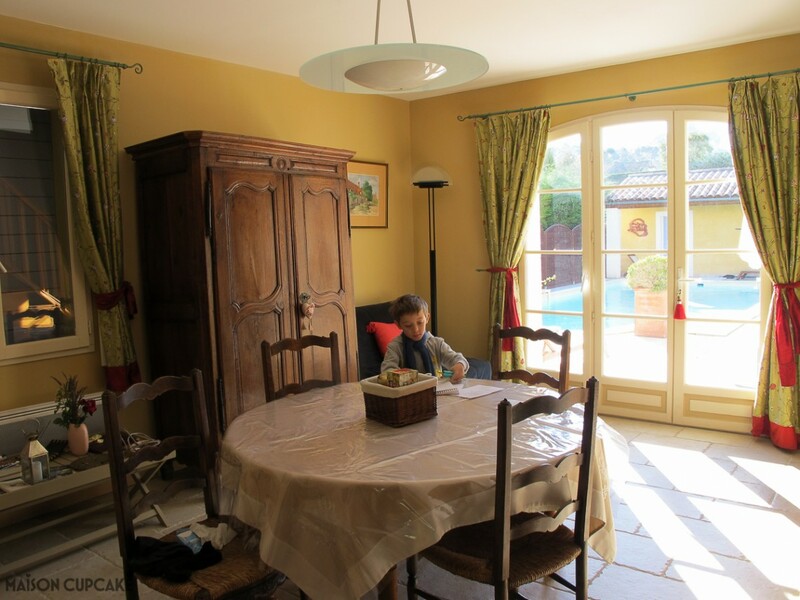 Downstairs was our dining area with kitchenette and bathroom – all beautifully furnished in Provencal style and well equipped for everything we needed to cook our own meals. We tended to dine out for lunchtime on day trips nearby then self cater in the evenings although St Remy is stuffed with good restaurants. That cupboard behind the table isn’t a wardrobe, it was full of shelves laiden with crockery and kitchenware. And upstairs was our bedroom alongside a living room area with sofa, television etc divided by a screen. The sofa folded out as a bed for our son – it was ideal for a couple with a young child although if your third person was another grown up it would be less suitable. 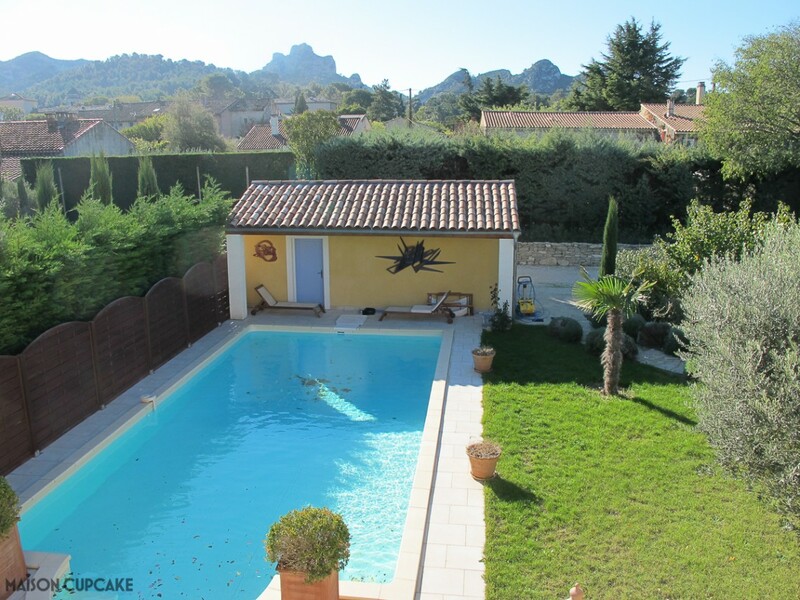 Being autumn we couldn’t make use of the pool although we had a splendid view of Les Alpilles – a nearby mini mountain range which straddles the Bouche-du-Rhône department. The pool was shared with the main house although our patio doors opened directly onto it. I won’t make specific critiques about this rental property as unfortunately it’s no longer available through the site but it does give you a flavour of what’s on offer through the HomeAway site. You’re not booking a hotel and it’s not necessarily in someone’s home (like AirBnb for instance). We had a happy medium of our own private accommodation and cooking facilities but the lovely owner was on hand immediately next door incase of any problems. Although this wouldn’t necessarily be the case with all of their rental properties and you should read the descriptions and user reviews carefully. There’s a wide range of properties available – for every party size and every budget. 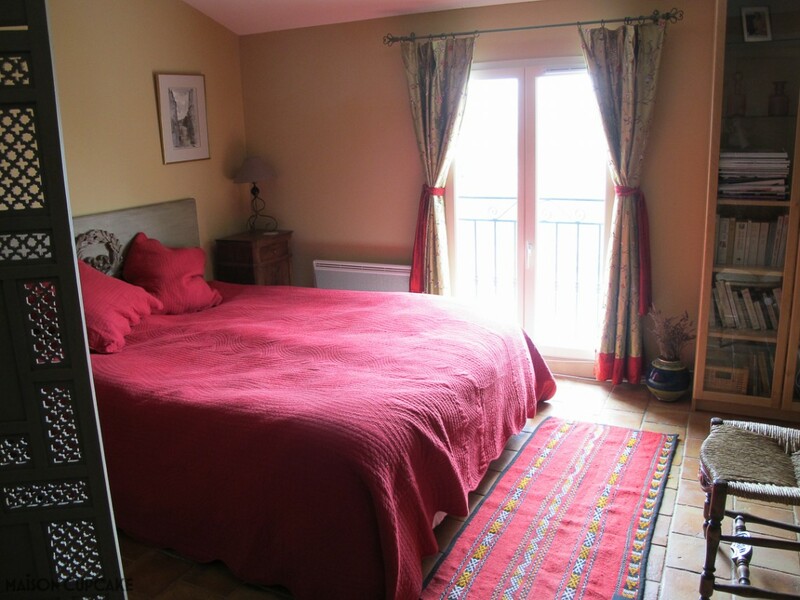 Options in St Remy range from £43 per night to luxurious options at over £750+ sleeping a dozen people. You can search by location for specific properties or by date and then see what’s available where. You can also filter for features such as air conditioning, pools and parking spaces and equipment provided i.e. dishwashers and barbecues. 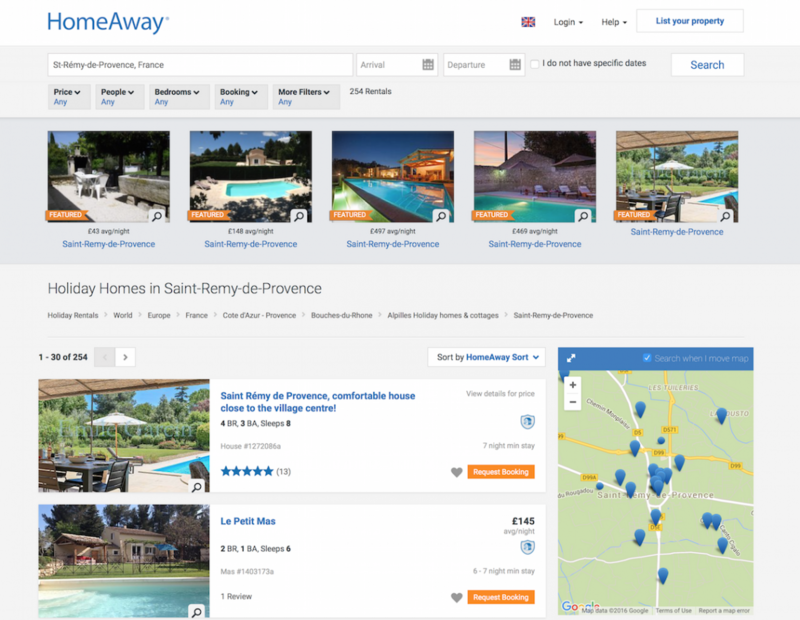 Using HomeAway was a brilliant way to get a feel for independent living in an area we loved and I’d happily use them for a future booking – indeed for next year I have my eye on a Betty Blue style chalet in the Languedoc’s seaside resort Gruissan-Plage if my husband will agree! St Remy has no railway station and only limited bus services. 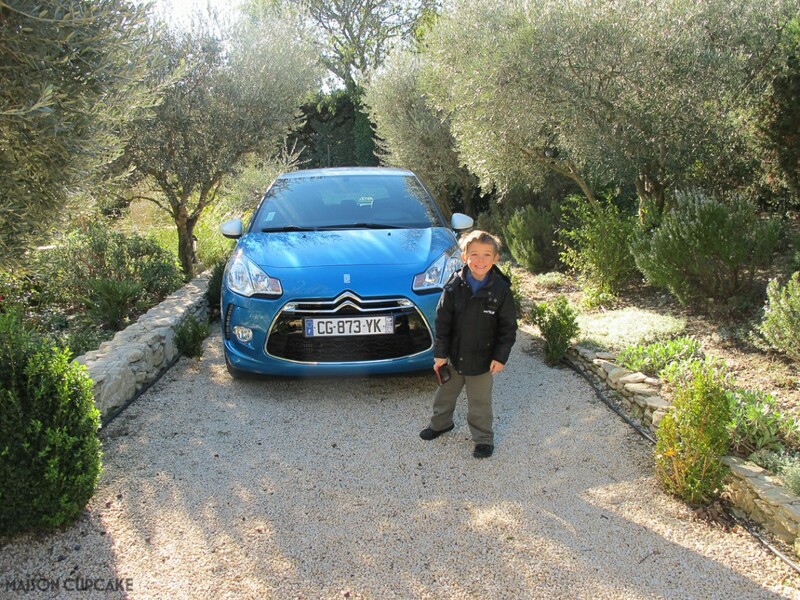 So a hire car is essential and opens up other places to visit near St Remy. A small hatchback like this Citroen DS (below) costs around £250 a week and has adequate luggage space for a small family. Motorways in France are generally much quieter than the UK and operate on a toll basis payable by plastic card. St Remy is around 15 minutes’ drive from the main L’Autoroute de Soleil which connects Lyon with Nice. Marseille Airport is the main air hub around 75 minutes’ drive from St Remy with both British Airways and Easyjet operating daily flights to and from the UK. However don’t overlook the less frequent and often cheaper services via Flybe to Avignon (30 minutes away) and Ryanair to Nimes (45 minutes away). The closest TGV railway station is Avignon. Some direct Eurostar services now arrive in Avignon making travel to Provence easier than ever. Our accommodation was courtesy of HomeAway for this trip, this particular property is no longer listed with them but they have many other options in Provence to choose from. We flew at our own cost to Marseille with British Airways. Car hire at our own cost was via Avis at Marseille airport. If you fancy a taste of what it’s like to live in one of your favourite holiday destinations, visit the HomeAway website for details of private self catering holiday rentals.